St Petersburg landscape with view of Fontanka River. Emerald expanse of water with reflections takes main place in the picture. 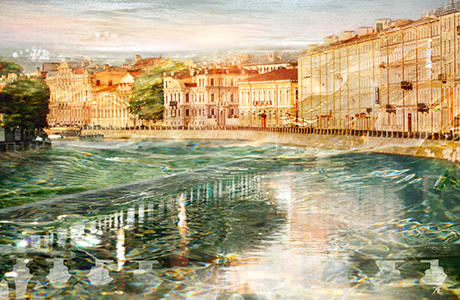 Artwork from series "City of Splashing Water"